E.H. Schwab sees the opportunity to reduce cost through design and tolerance modification in non-critical areas on many projects. Involve us early in the design process and see the savings for years to come. 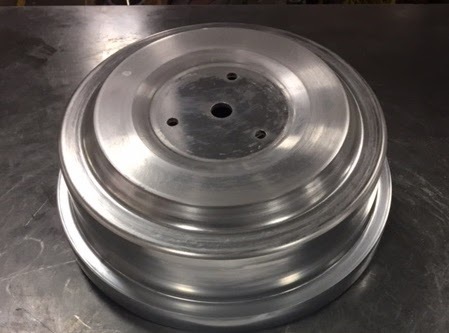 We've started supplying the spun wheels for their cutting edge electric scooters! These parts are laser cut with all internal holes before being spun on one of our 6 CNC spinning lathes. Finish machining brings the parts into final specification before they are ultrasonically washed and packed for shipment. We're proud to work with Fido and the keep the wheels turning!